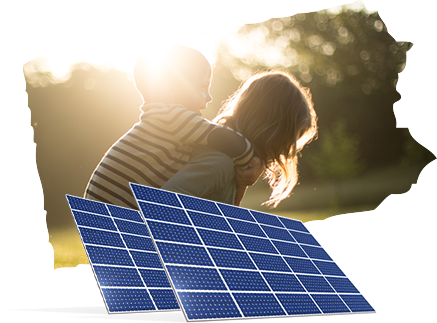 Join the 31,000 homes powered by solar in the Quaker State. Pennsylvania is toward the middle of the pack as solar capacity goes, but it’s fighting to rise to the top. In 2015, the state installed over $30 million worth of solar capacity and currently has enough to power 31,000 homes. While the natural gas industry is something for the government to contend with in Pennsylvania, solar is for now an alternative cost-savings and carbon footprint reducing option for homeowners. Pennsylvania has the 20th most expensive electric bills in the country—an average $107 per month. The state’s kilowatt prices are also up there at 13 cents per kilowatt. While the grid power pricing is a downer, the savings opportunity solar provides is definitely a silver lining. On average, solar systems cost $11,200 to $14,400. However, solar kilowatt prices only range from three to nine cents. If you live in Pennsylvania and are trying to save on energy, solar is a great solution for you. Wondering how much solar will save you? You can fill out a form to get a quote from a top solar company or get started with our solar energy savings calculator below. The government has a great incentive for homeowners to buy and install solar panels—a 30 percent tax credit. That means if you spend $30,000 on solar panels, you’ll get 30 percent of that back in credits. This only applies to people who buy their solar panels (not solar PPAs, leases, or financing), but it’s awesome for homeowners who qualify. Depending on where you live in Pennsylvania, you can save even more with local utility incentives. Browse solar incentives near you to ramp up your energy savings. SunPower tops our charts as one of the best Pennsylvania solar companies because of its innovation. To date, SunPower has 600 patents for solar technology and a world record-setting plane, the Solar Impulse 2. Homeowners can enjoy solar cells that produce 55 percent more energy than traditional panels, a high-tech app that lets you see your real-time solar panel energy usage, and sleek solar panels that blend into your roofline. Want to save on solar? Sunrun offers 20 percent energy savings for those who sign a solar PPA. Plus, you can also save in more ways depending on the contract you sign. Sunrun has leases, financing, and buy-out options to fit everyone’s lifestyle. Join the 80,000 energy-saving customers who already have Sunrun. And if you need more proof, check out Sunrun’s exceptional ratings on Better Business Bureau and Angie’s List. NRG Home Solar is different in that it doesn’t offer solar PPAs. 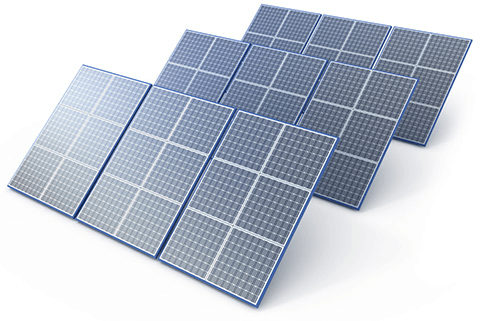 However, the company does provide solar leases and financing for as little as $0 down. If you’re interesting in buying your solar panels outright, you can also do that with NRG. This company made our top three ranking for solar power companies in Pennsylvania because of its pricing, design, service, and potential savings it offers customers. While Pennsylvania is a net-metering state (meaning you can sell excess solar power back to utility companies), it took a blow in 2016 when the Pennsylvania Public Utility Commission altered the law. Previously, utility companies had to buy solar energy back from customers for retail price (up to 50 kilowatts). Now, the state is going to base that energy cap off of historical usage—meaning utility companies will pay less and homeowners who own solar panels will get less. This isn’t a nail in the coffin for the state’s solar, but it is a step backward for the green initiative and potential savings that solar can offer customers. By 2020, Pennsylvania hopes to have over 320 megawatts of solar capacity. Almost 550 solar companies employ 2,500 people in Pennsylvania. Pennsylvania installed the 26th most solar capacity in the nation in 2015—13 megawatts. The state spent over $30 million installing solar capacity in 2015. Pennsylvania installed 21 percent more solar capacity in 2015 than the previous year. This organization regulates utility companies in the state. See how legislation can affect your solar savings. Get in touch with the lawmakers who pass solar bills, and see what’s happening near you. Read about energy policies, planned proposals, and more. Look up local solar tax incentives, rebates, and credits that can help you save. See how Pennsylvania compares to other parts of the country when it comes to energy consumption.